What is a BTU and why do I need to calculate this for my room? Why do I need a bleeder valve? What is the difference between Thermostatic valves and Manual valves? Are cast iron radiators heat efficient compared to normal steel radiators? 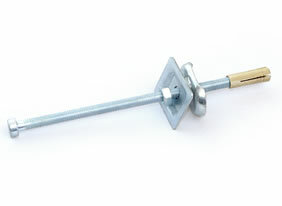 What is a wall stay used for? Do I need a specialised plumber to install my radiators? What guarantee do I have with castrads4u cast iron radiators? What colours can I get my cast iron radiators painted in? What if I damage the paint while manoeuvring or fitting the radiators? What is the usual lead time once I confirm my order? A section of a radiator is the individual cast of the specific design. These casts are then joined together using steel or cast iron jointing bush to make a complete radiator to required lengths. When referring to a column we are referring to the number of vertical bars in each section. Btu or British Thermal Units is the heat output per hour that a radiator can produce. Using our BTU calculator you are easily able to calculate the BTU needed to make sure your rooms are comfortable and warm. The bush/end caps are fitted to the end of each side of a complete radiator. They come in various sizes but the most common are 1/2” (15mm) . You will receive two caps with ½” openings to allow valves to be fitted along with one blank solid cap. One end cap with a bleeder valve is also included to allow bleeding i.e. the release of excess air. Often a radiator will become warm at the bottom but remain colder at the top. This is due to air in the radiator preventing full circulation of warm water inside. You can find further information on "bleeding radiators"
A thermostatic radiator valve (TRV) automatically allows you to control the temperature or heat output by regulating the flow of hot water into the radiator. A TRV should not be fitted on a radiator where it is in the same room as the main thermostat, as this can lead to inaccurate overall house temperature control. Manual valves are not sensitive to room temperature so will continue to heat a room until they are physically turned down. All manual radiator valves are bi-directional. Cast iron as a material is very efficient. A radiator made of cast iron may take a bit longer to heat but once hot will retain heat longer, even once the boiler is switched off. A steel wall stay is used to stabilise the radiator to prevent rocking; these are essential when placing an order. All our cast iron radiators are fitted using the same techniques as modern radiators so any qualified plumber should suffice, though previous experience would be ideal. At castrads4u we offer a full 10 year manufacturing guarantee with all our radiators. Please see our Terms and Conditions for full details. Each painted cast iron radiator order will receive a small pot of touch up paint with the delivery. If more is required again please contact us. Once the order has been placed and paid for, delivery will take between 5-10 working days. This is due to each radiator having to be sized and tested which is a very labour intensive process. Please note that full polished radiators can take up to 15 working days. Why choose cast iron over acrylic baths? How do I take care of my bath? Can I have my bath exterior painted? If I want to speak to someone what are your opening hours? Whereas acrylic is far from being a green product, cast iron can be almost 100% recycled. castrads4u strives to use mainly natural recycled and reclaimed raw material. Noise pollution becomes one of the scourges of current day life. Cast iron is simply the best material to absorb all bath and water noises. In the event of fire, cast iron does not emit any gas or toxic fumes unlike acrylic. Cast iron is highly resilient. It offers best protection against scratches, etching by chemicals or detergents, cigarette burns etc. Acrylic tubs are prone to flexing while cast iron keeps it’s shape. Cast iron offers top durability and strength. This longevity will ensure that even your grandchildren willenjoy it year after year. Most of our Products carry a 10 year manufacturing guarantee. Our bathtubs are produced using the advanced “V” vacuum process which allows the use of natural unspoiled sand for mould processing. Top quality AA standard titanium enamel along with glaze produced by Baike Company of Germany completes the finish. Enamel is a dense, non porous material which does not accumulate lime or other detergent residues. You can clean it simply by using soap and water mixed with a few drops of vinegar. Don’t waste your time with cleaning, choose cast iron! Just follow our simple step by step process. We have strived to provide our customers with an easy step by step guide for ordering but, of course, we understand that you might have further questions so please feel free to phone on 028 8224 5148. At castrads4u we have a dedicated team to finish your bath in any of the many RAL colours using our RAL colour chart. For the a comprehensive list you may also want to check. Delivery costs vary depending on the size of the order but for a single bath it will cost £90. This depends on the product and the finish required. For example we hold most taps and fittings in stock and can generally dispatch within 14 days. For baths and items with a dedicated finish we will contact you with an anticipated delivery date. Please let us know if your order is urgent and we will do our best to despatch it quickly. Please feel free to contact us 028 8224 5148. If no-one from our technical department is free please leave your full name, contact number and query.We will strive to call you back as soon as possible. Our office is open from 9am until 5pm – Tuesday to Friday, 9am until 1pm Saturday. We are closed on Sundays & Mondays.